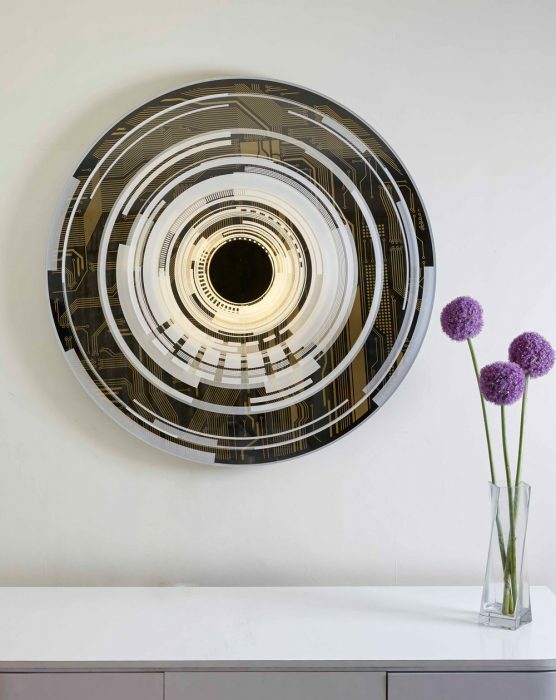 A wall mounted illuminated artwork inspired by science fiction films like A Space Odyssey 2001 and Blade Runner. 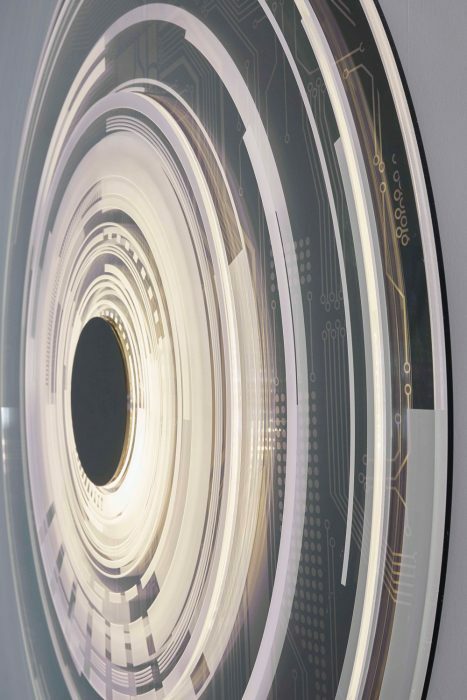 Multiple layers sit in spaced formation above the circuit board backdrop in gold that act like the mechanics of a Portal. Ready to take the user into another dimension. 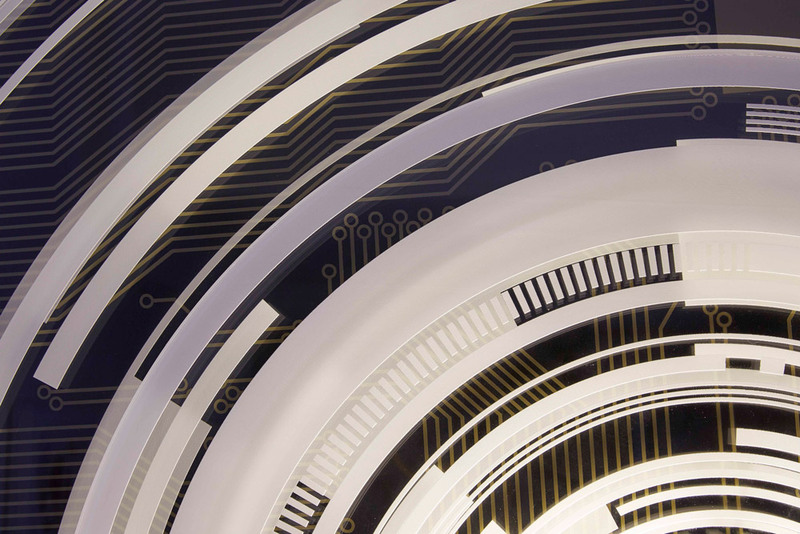 Made from laser engraved acrylic and gold tinted stainless steel. Aluminium and LED. Diameter 1200mm and projects 120mm from wall. 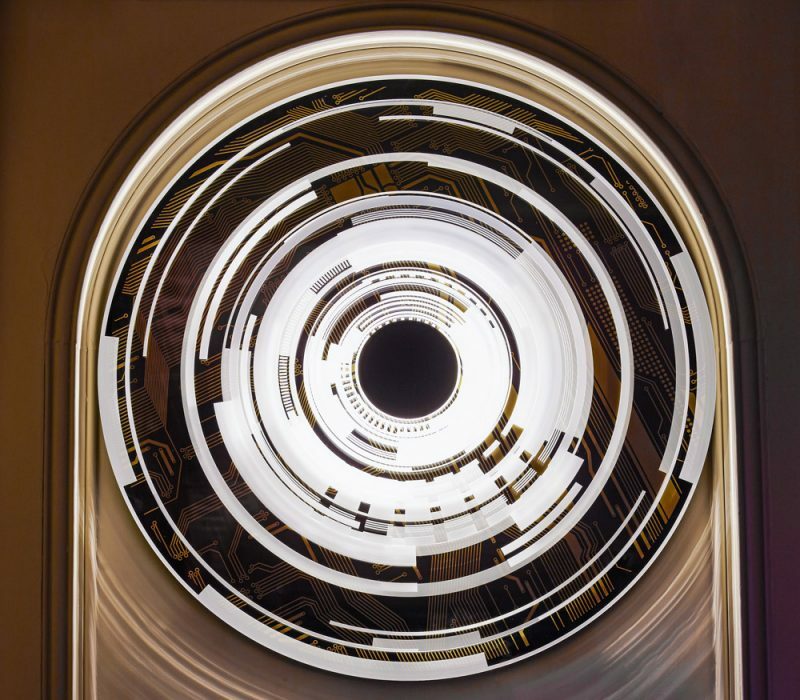 Photography by Jake Fitzjones at Aynhoe Park A modern Grand Tour art collection auction. Available as an edition of 9 with price on application.